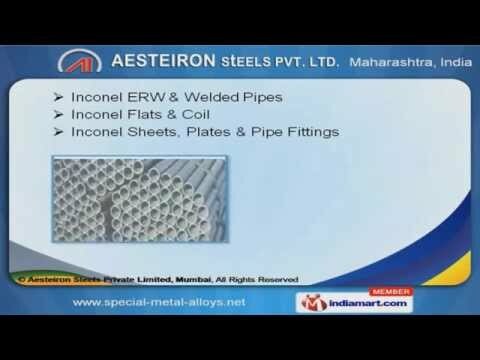 Welcome to Aesteiron Steels Private Limited Manufacturer & Exporter of Industrial Products Established in 2007 at Mumbai we serve to Automobile & Power Industry. Quality checked range, customized products, on time delivery of consignments & economical prices are some of the plus point of our organization. We are engaged in offering Nickel Pipes, Tubes, Plates, Buttweld Fittings, Fasteners & Round Bars. Nickel 201 Fasteners & Round Bars are some of our best selling products. Our Inconel ERW & Welded Pipes are a class apart. Along with that we offer Hastelloy Flanges, Coils & Sheets at competitive prices. Our Monel Buttweld & Forged Fittings are one of the best in the market. We are specialized in offering Titanium Flanges, Pipes, Plates & Sheet.